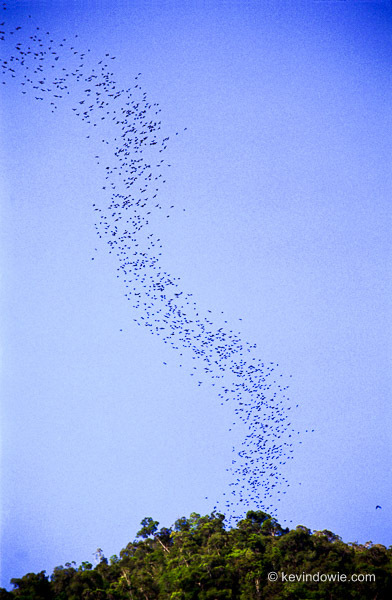 Bats leaving Deer Cave, Sarawak, Borneo. Deer cave contains millions of bats, 12 different species have been observed there including an estimated 3 million wrinkle lipped bats making this one of the largest bat colonies anywhere in the world. the Sepilok Orangutan Rehabilitation Centre near Sandakan in Sabah, was established in the mid 1960's with the aim of rehabilitating orphaned or rescued orangutans and returning them to the forest.